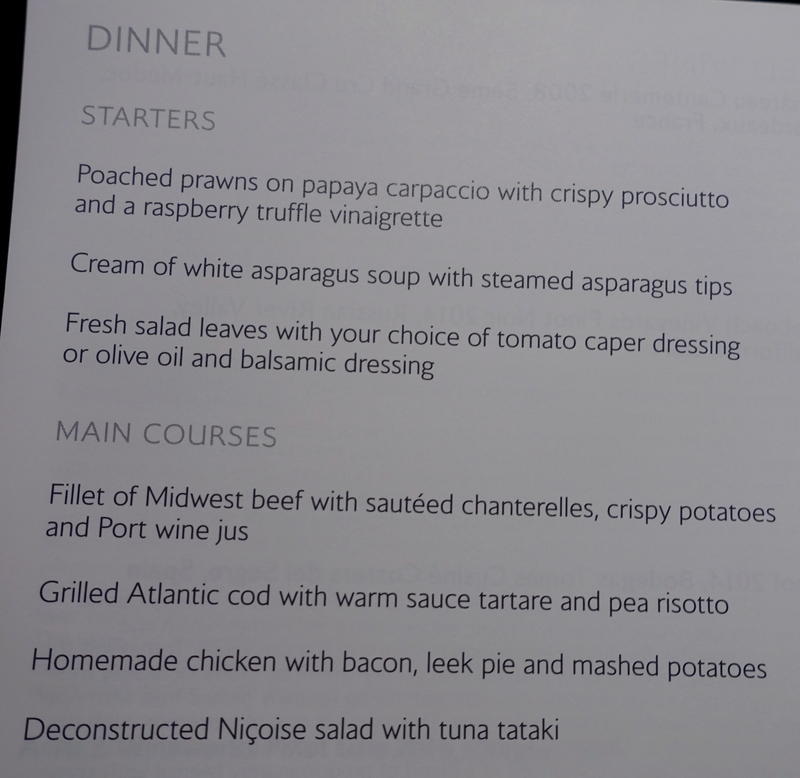 British Airways First Class is often panned in blogger reviews, compared to other international first class products. 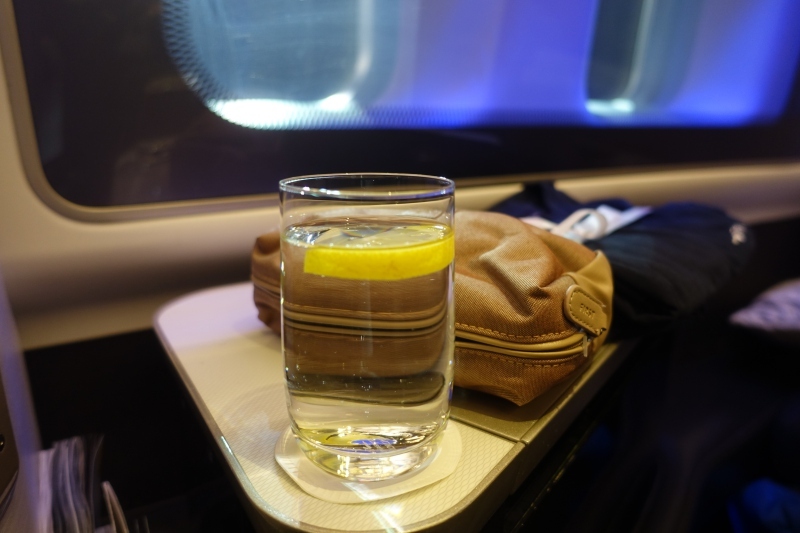 But the fact remains that British Airways has the most first class flights and seats between Europe and the U.S., by virtue of the many British Airways flights to London from a number of U.S. cities. 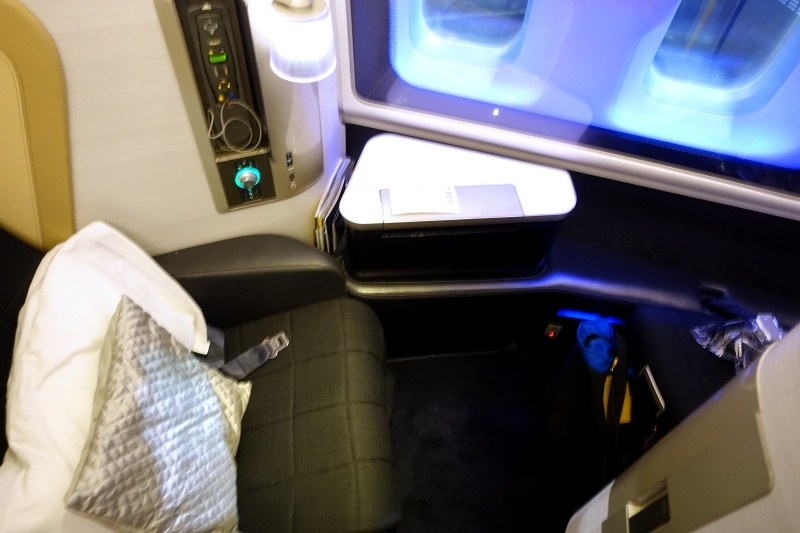 That means for those who want a first class seat to Europe, at some point British Airways First Class will likely be part of your consideration set. 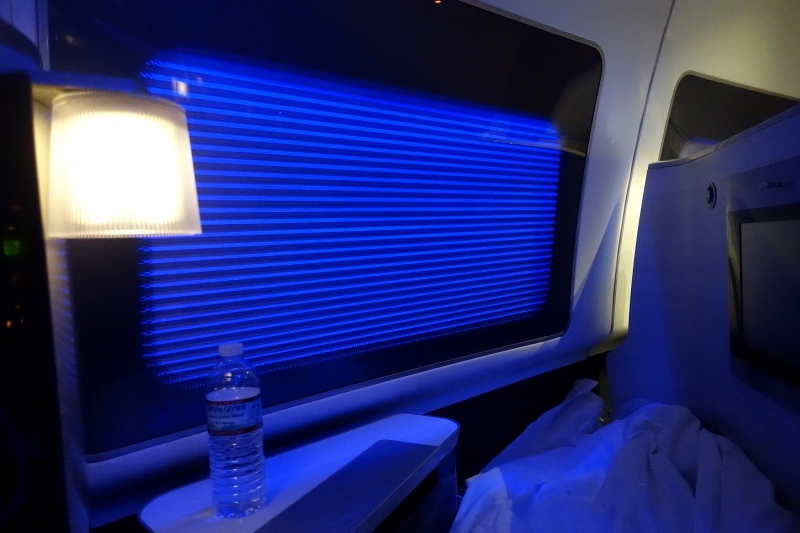 And while I've reviewed British Airways First Class on the 777 from New York to London and British Airways First Class from London to New York back in 2013, I can provide an updated review from a flight I took in December 2016. 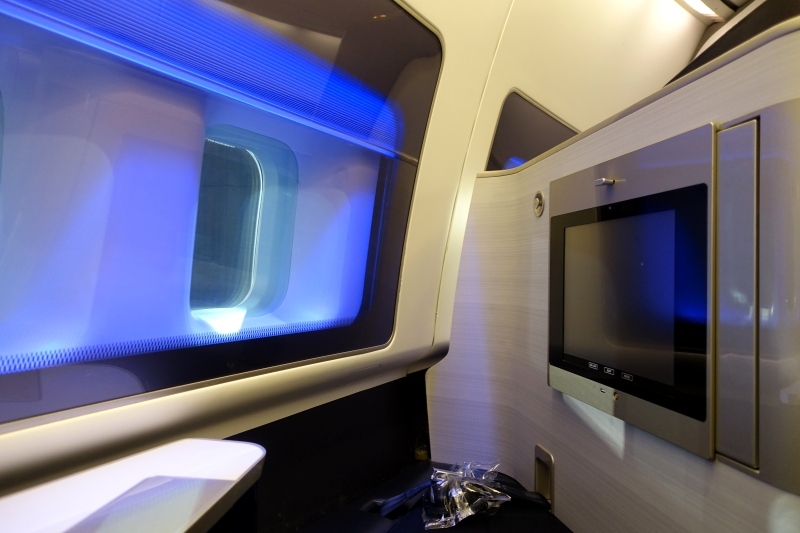 British Airways squeezes 14 first class seats into its 747-400 in the nose, with 5 window seats on each side and couple's seats 4E/4F and 5E/5F in the rear of the cabin. Because of this configuration, I recommend seats 1A and 1K if you like the privacy of not having any other seats in front of you, although note that you won't have any overhead bin space, and that the coat closet will be used for other passengers' coats and bags as well, not just your own. 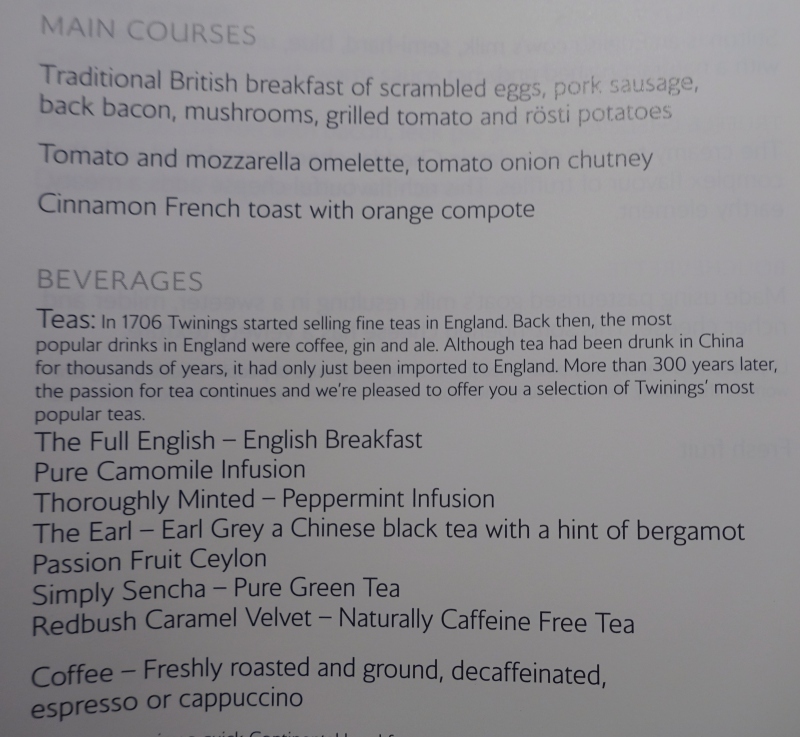 Typically you can't select 1A or 1K in advance unless you're a British Airways Executive Club frequent flyer member with Gold or higher status. Since I have no status with any airline, I usually select 2A or 2K, which are also quite private and only have one seat in front of them. 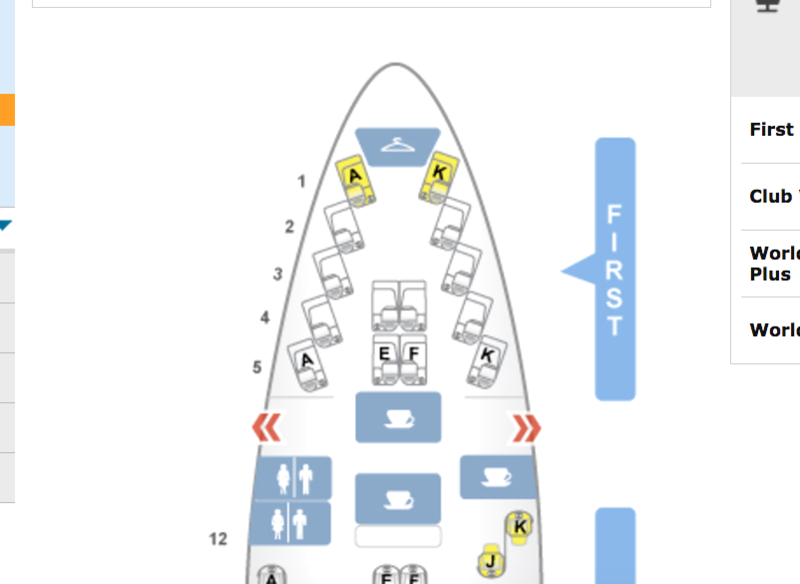 Because there's not that much space between 2A and 2K, these seats could also work well for couples (who don't have elite status and thus can't book 1A and 1K) who don't need to be side by side with each other. Personally, I'd avoid all seats in rows 4 and 5 if you can help it, as in my view they're too close to the seats around them for the privacy you'd normally associate with a first class cabin. 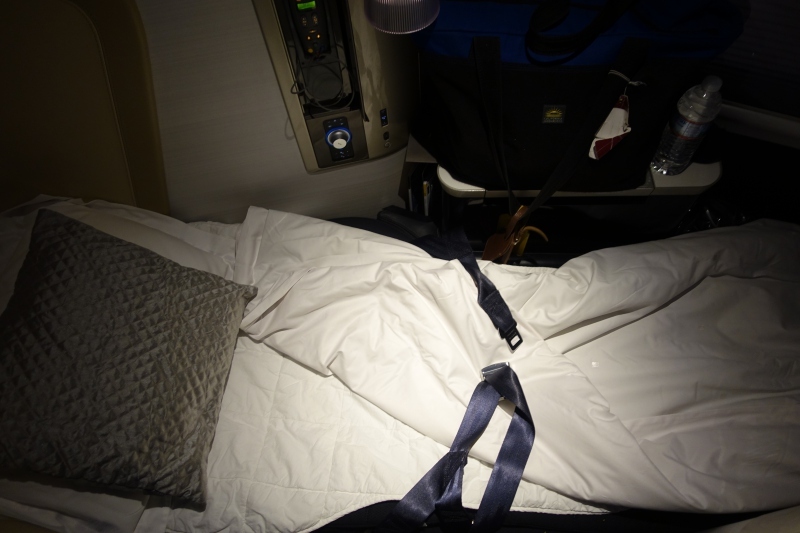 The British Airways First Class seat is one of the narrowest of any international first class seat (prompting monikers such as “the best business class product”) at only 22 inches in width. 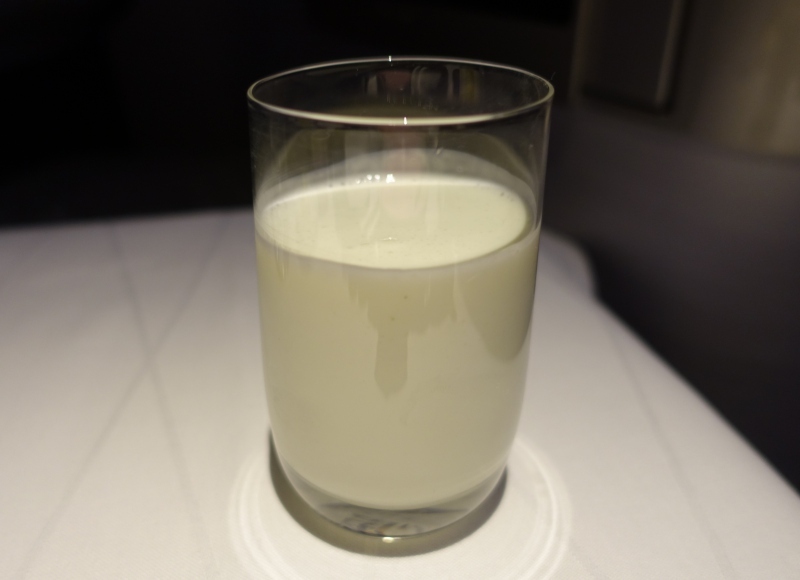 By comparison, Etihad First Class 787-9 seats are 26 inches wide, Etihad A380 First Class Apartment seats are 29.5 inches wide, JAL First Class 777-300ER seats are 33 inches wide, Lufthansa First Class seats are 31 inches wide, Asiana First Class A380 Suite seats are 25.2 inches wide, and Singapore First Class 777-300ER seats are 35 inches wide, while Cathay Pacific First Class seats are 36 inches wide. 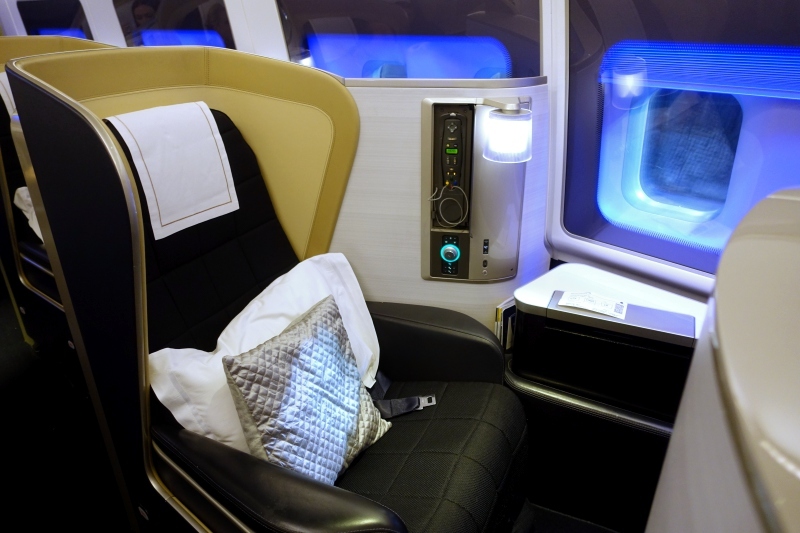 Only Emirates First Class seats on the A380 are close, at just 23 inches wide. If you're looking for the typical seat control buttons, you won't find them; instead there's a round dial that you use to recline your seat. There's an ottoman, in case a companion in First Class wants to join you when dining, and items can be stored under the ottoman during the flight, but not during take-off or landing. 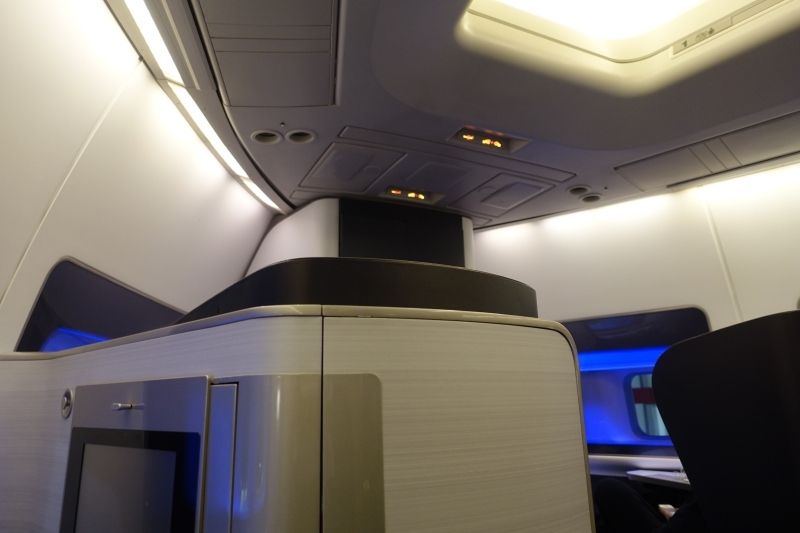 The IFE screen likewise must be stowed for take-off and landing, which unfortunately means that you can't watch anything at those times, at least not without really craning your neck. One thing that I find very inconvenient is the placement of the power outlet, which is by the floor near the ottoman. 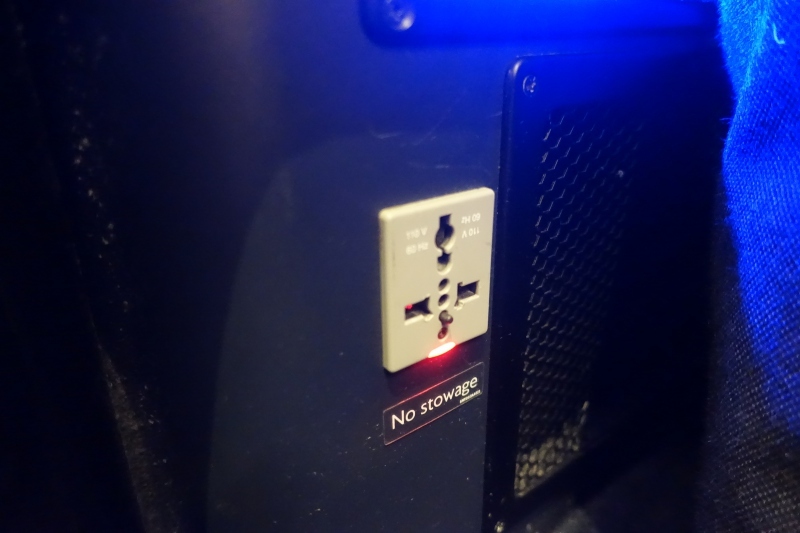 It's not within reach if you're buckled in, and is likewise incredibly inconvenient if you want to charge your device while sleeping, given the location. 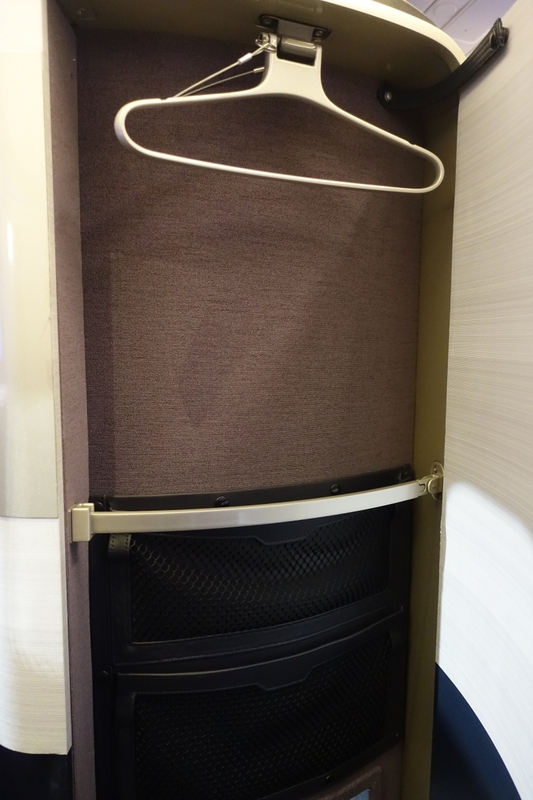 There's a narrow coat closet, and I managed to get my winter coat in there, but it's really designed for thinner suit coats. 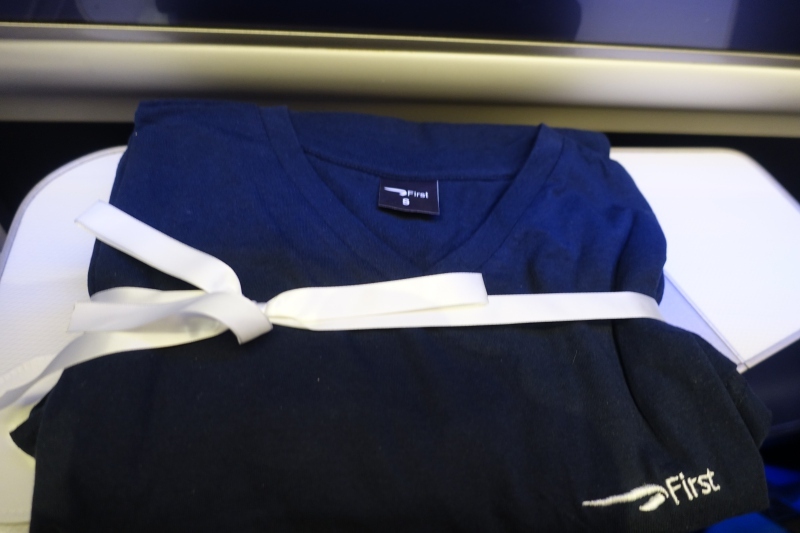 Prior to take-off, we were provided with the same kind of pajamas, a black cotton t-shirt and pants, with a white “First” emblazoned on the t-shirt. If you don't mind the “First” these can easily be reused as a t-shirt, although I prefer Qantas' version, which has a kangaroo instead of “First” and a v-neck, instead of a round neck. The amenity kit was one of British Airways' better ones, with Aromatherapy Associates products that included a cleanser, facial moisturizer, eye firmer, and hand/body moisturizer, all of which I actually used during several hectic days at ILTM Cannes, where I was meeting with luxury hotels and resorts from all over the world. 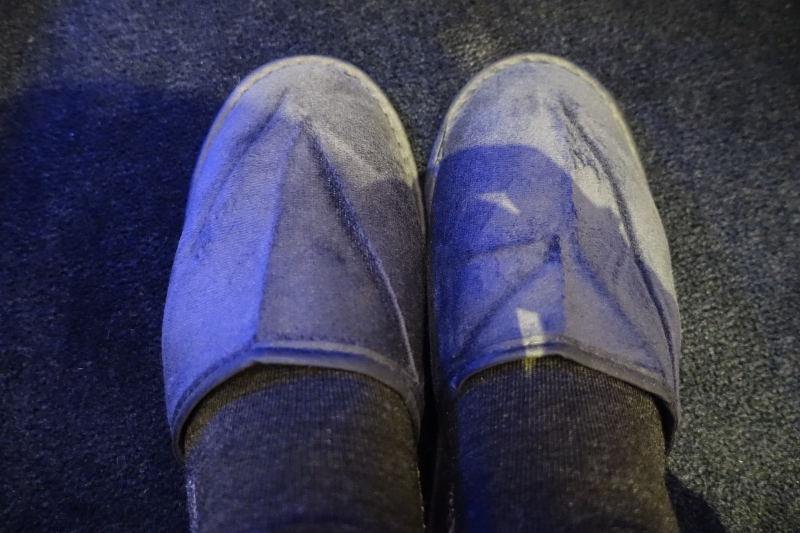 Interestingly, no slippers were initially provided, and I had to ask for a pair. 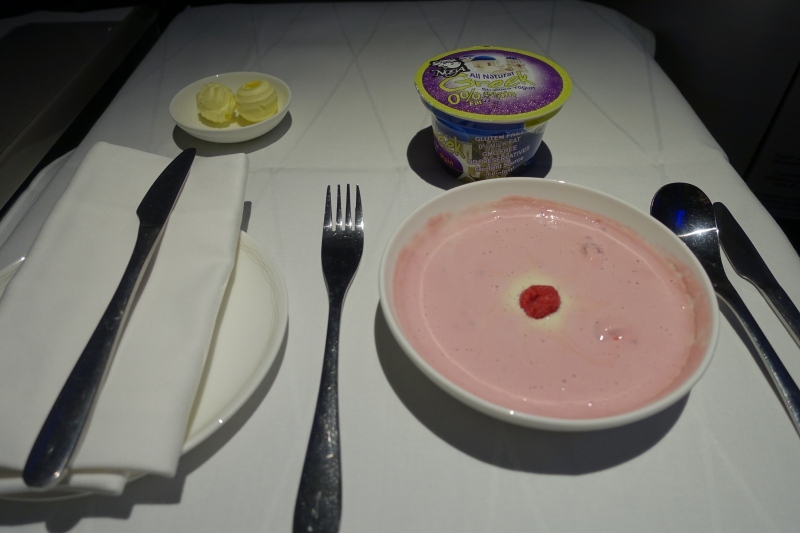 In the morning, I requested raspberry and plain yogurt so I could mix them, and this was by far the best food I tried on board, probably because there was no real cooking or preparation involved. I tried the lime and mint smoothie, but it was thin and pretty tasteless. 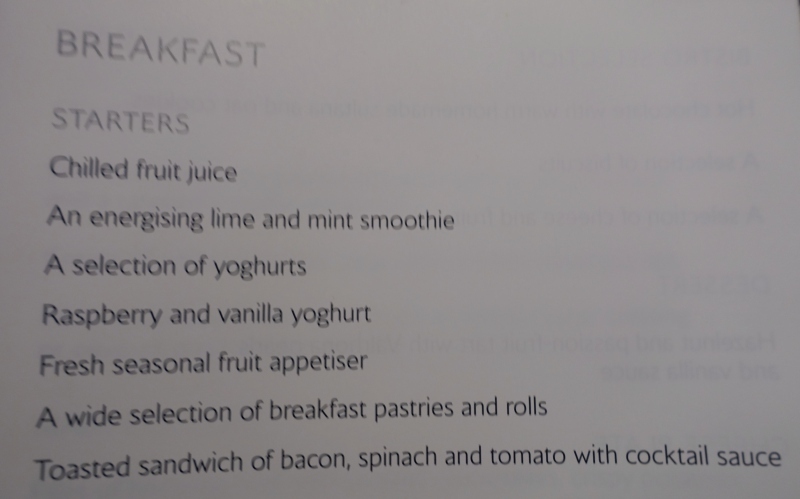 I really wish British Airways still carried Innocent smoothies on board, which were so much better. 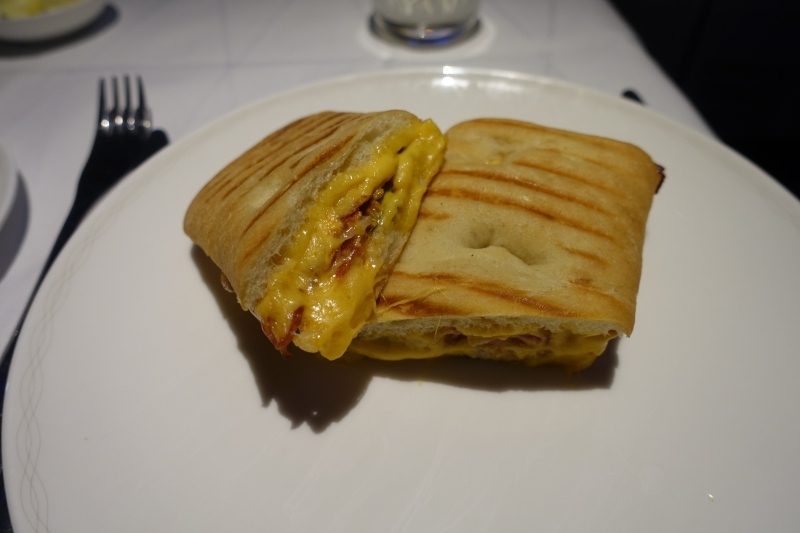 The breakfast sandwich was something I'd expect from a fast food restaurant, and the cheese tasted highly processed. Not good at all. While I'd also requested fresh fruit and the dessert I'd asked to be saved for me, they weren't brought, so eventually I went to the galley to request them. One of the female flight attendants snapped at me that it was too close to landing. Taken aback, I explained that I'd requested them some time ago, but the items were never brought to me, so I was simply reminding them. Reluctantly, she brought them to me. 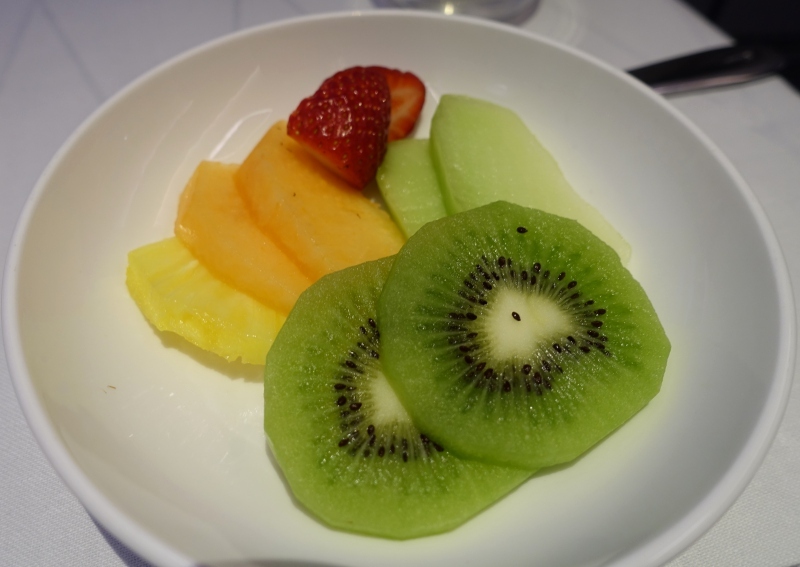 The fresh fruit had the cheaper fruits, such as cantaloupe, honeydew melon and kiwi, and no berries. 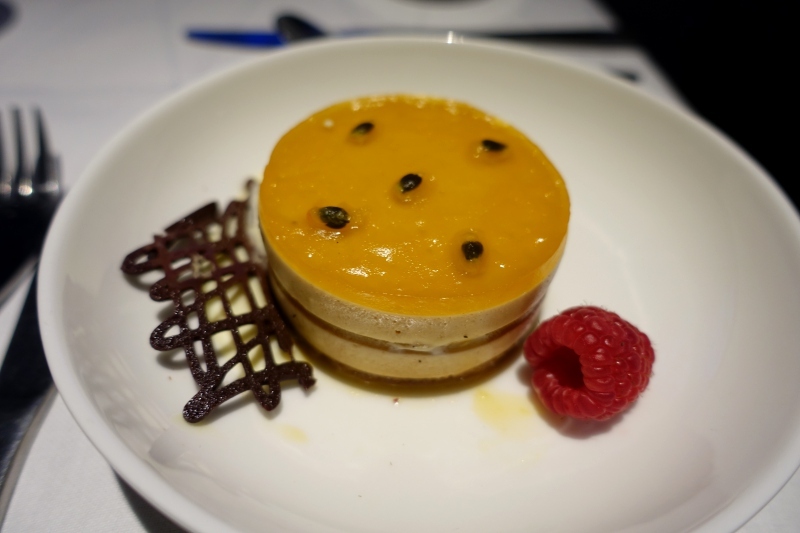 I had higher hopes for the dessert, a Hazelnut Passion Fruit Tart, since I'd previously really enjoyed desserts in British Airways First Class, but this one was the kind you'd expect to get from a 2nd rate bakery, with a very ordinary hazelnut mousse and thin gel-like passion fruit topping. Very disappointing. 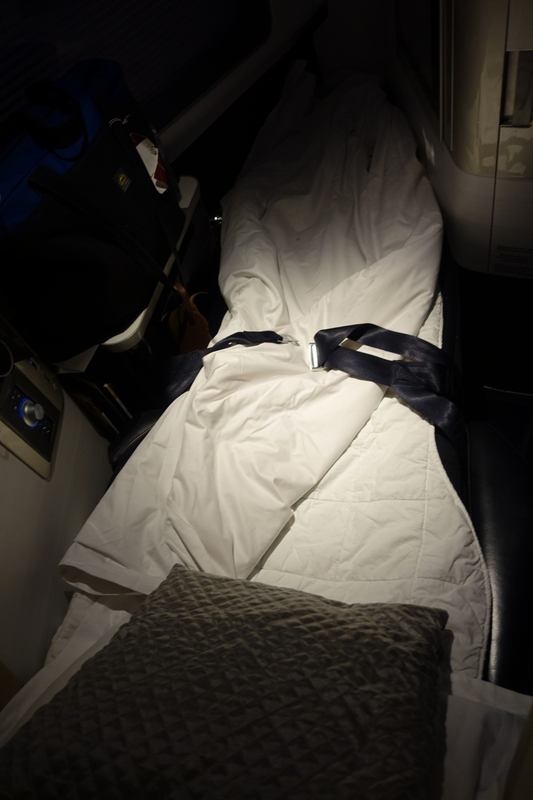 I will say that the crew was very nice and efficient about performing turn down service as soon as possible after take-off, which many passengers were requesting. The bed itself was ok, but not padded enough for me to sleep comfortably because the mattress pad is quite thin. And because of the seat and therefore the bed being quite narrow, it could be challenging for anyone who is on the larger side or is used to having more room. 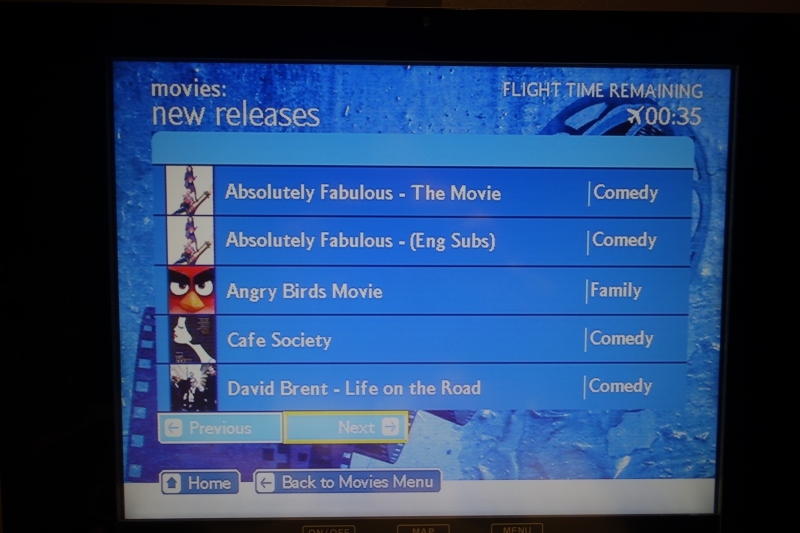 Since I was focused on trying to sleep or at least resting, I didn't make use of the IFE, although I did peruse some of the film choices. 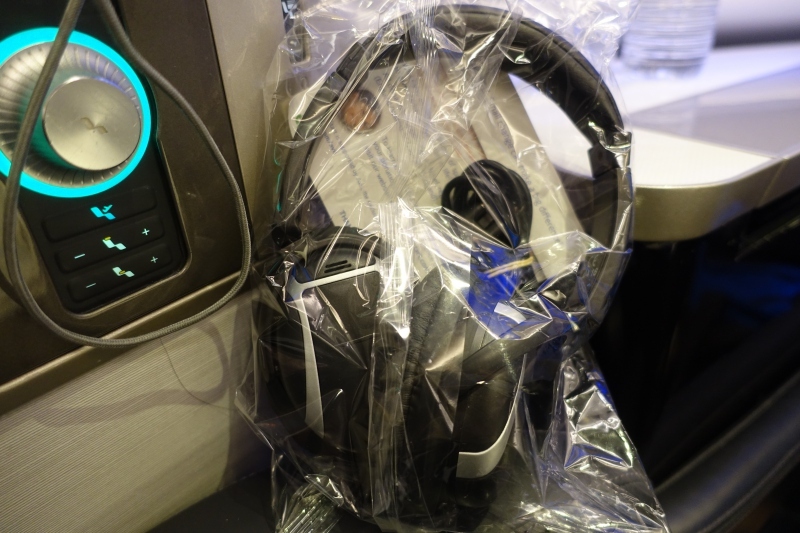 I also found it pretty tacky that the headphones were wrapped in plastic, rather than the usual presentation in a case. There's no question I'd rather fly British Airways First Class than, say, British Airways Business Class, but it's truly a shame that the product, already rather poor relative to the better international first class products when it was introduced, has clearly been further subject to cost cutting, with the food quality very poor on my flight, no more Innocent smoothies, no longer a flower in the bathroom, and no hot towels. I also didn't appreciate crew forgetting items and then snapping at the customer. 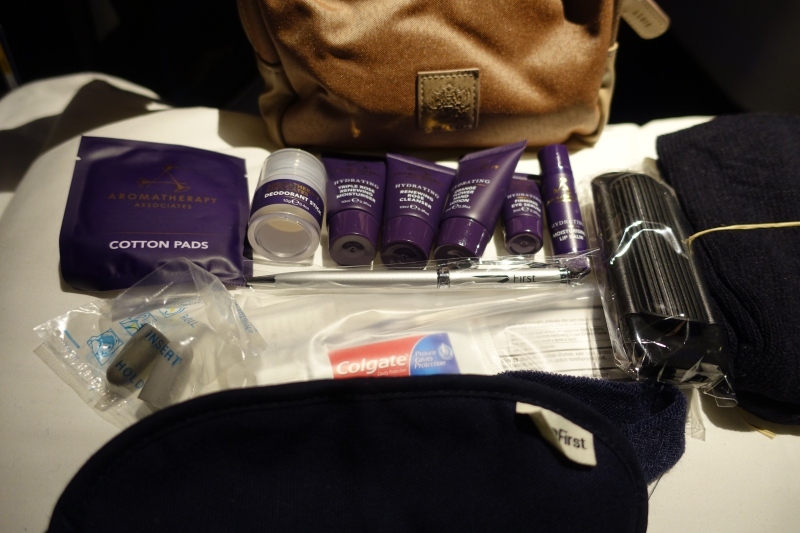 On the positive side, our beds were turned down as promptly as possible after take-off, and the amenity kit was a very useful one. And thanks to a sale, I paid just over $2000 roundtrip for my flight. I wouldn't have wanted to pay more, however, given the experience. 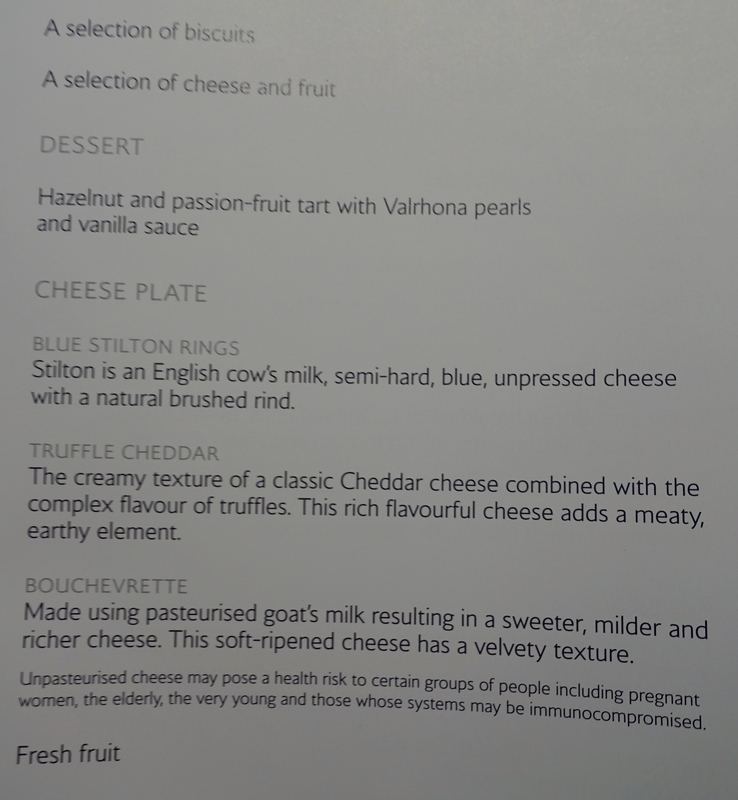 If you've flown recently in British Airways First Class what was your experience?